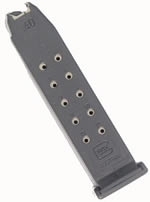 If you keep a Glock tucked away in your night table in case you ever have to defend your home, then you’ll take even more peace of mind from your pistol by outfitting it with this 33 round magazine. Unless 34 threats enter your house all at once, which is pretty unlikely to happen if you’re not the protagonist of a George A. Romero movie, then it’s hard to imagine a circumstance where you’ll be unable to protect your castle with 33 shots at your disposal. 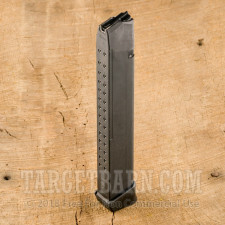 This magazine is made by Glock, and as such integrates seamlessly with any G17, G19, G26, or G34 pistol. 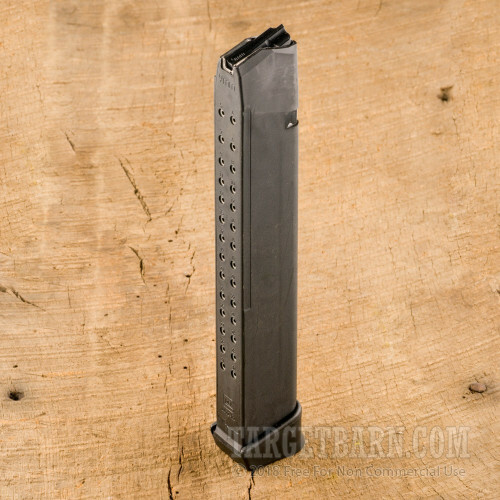 The double stack mag is drop-free, and its hardened steel insert and durable polymer coating mean it’ll weather pretty much the worst conditions that you could use it in. 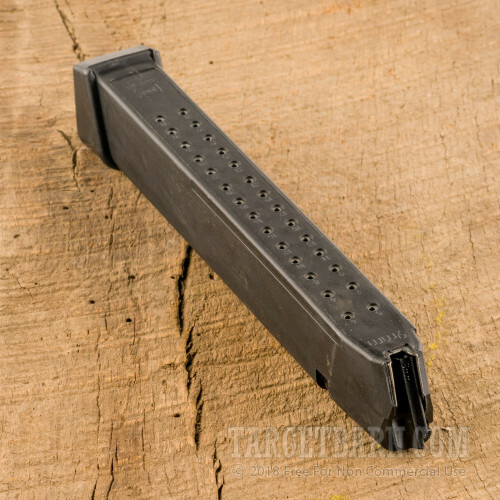 This mag further features rugged steel feed lips, as well as numbered witness holes so you can tell how many more rounds you’ve got to work with at a glance. 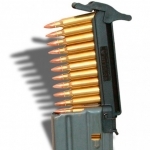 It’ll be bad enough if you’re ever forced to use your weapon -- don’t add the problem of reloading to the mix!